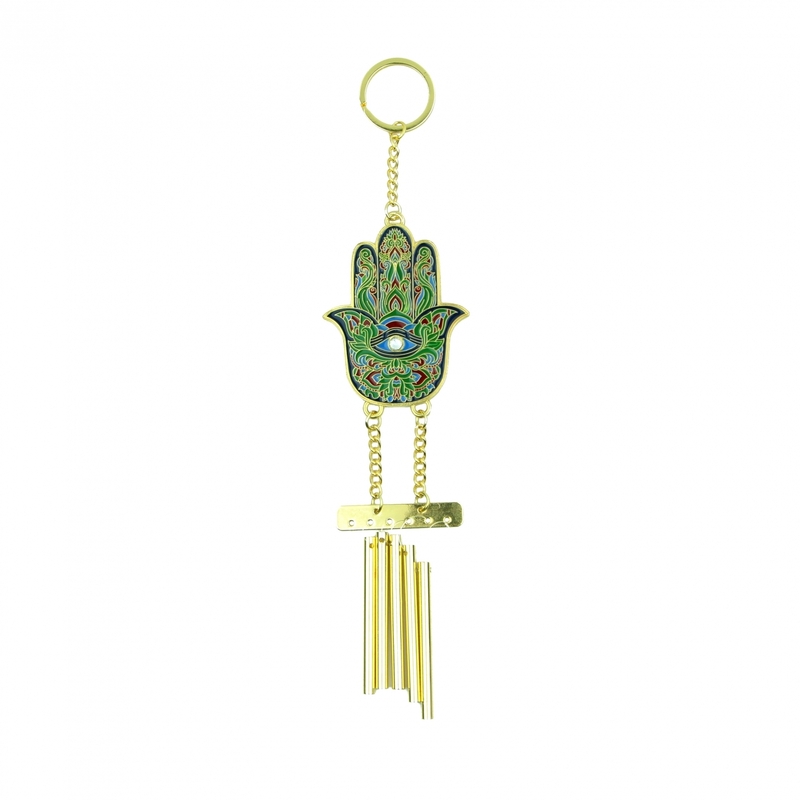 This beautiful Hamsa hand 5-rod windchime can give you good support and ward off all kinds of negative energies aimed at you. 5-rod windchime is also can transform bad energy into auspicious energy. Hanging it at home can prevent bad energy from hurting you. 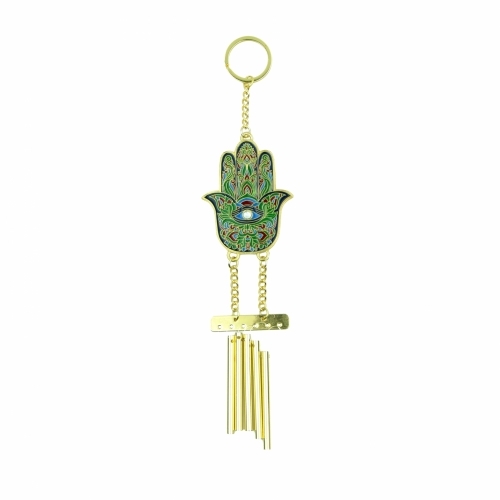 You can hang this Buddha palm windchime in the east. The overall dimension of it is approx. 2" x 11.5" x 0.125". It is made of brass.